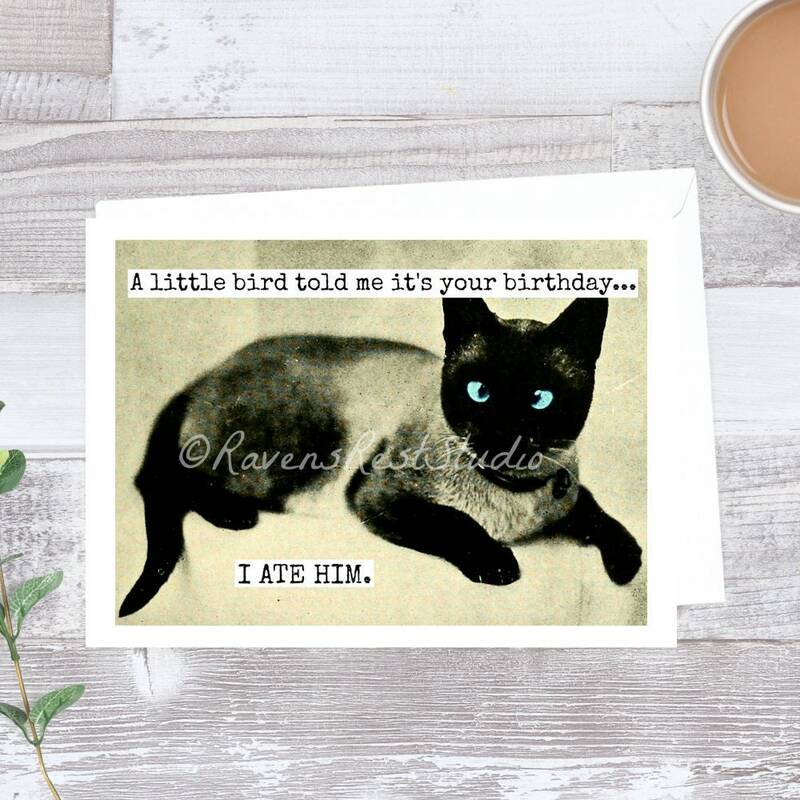 This card features a siamese cat and reads: "A little bird told me it's your birthday. 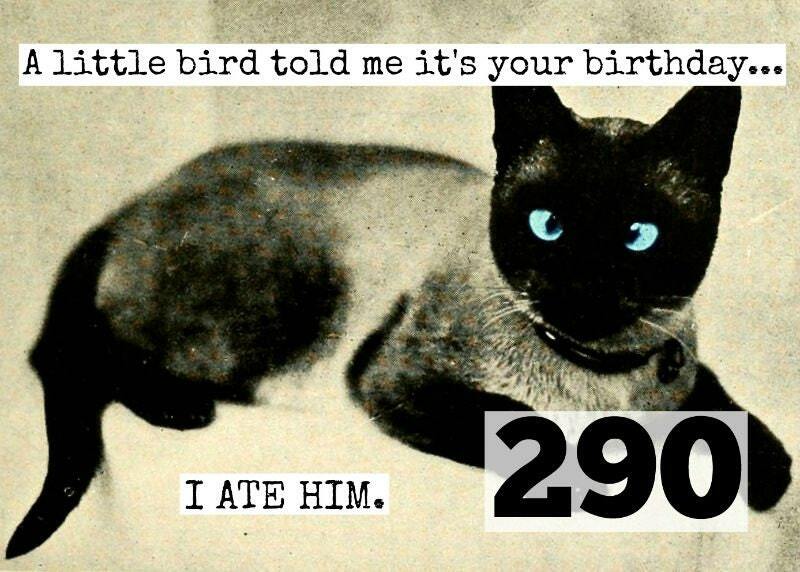 I ate him." Adorable selection of well made cards! Thanks so much!